We can't be too surprised that Rigoletto is at the top of our poll of your favorite Verdi baritone roles. It's not only a great role for baritones, but one of Verdi's most skillfully developed characters. 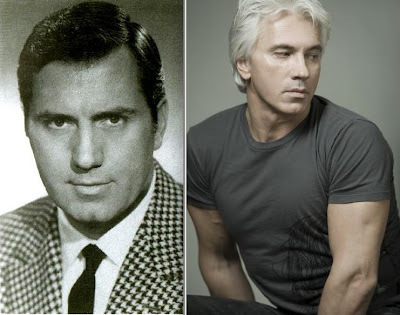 The hunchback father of Gilda isn't a role that one would normally associate with barihunks, but we've found some great clips with two of our favorite singers, Ettore Bastianini and Dmitri Hvorostovsky. Here is Hvorostovsky performing "Pari siamo" from Act 1, Scene 2 of Rigoletto. In this aria Rigoletto compares himself to the assassin Sparafucile saying that the killer uses his knife as a weapon, but Rigoletto uses his tongue. Here is Bastianini performing the Act 2 aria "Cortigiani, vil razza dinnata..." live from Milan in 1957. In this aria Rigoletto's daughter has been abducted by several courtiers and handed over to the Duke of Mantua. When Rigoletto tries to get past them to find his daughter, they deny him passage and he unleashes his fury upon them. Here are Dmitri Hvorostovsky and Sumi Jo performing the Act 2 duet "Mio padre!...Dio! Mia Gilda...Tutte le feste al tempio." This is another example of a beautiful father-daughter duet from Verdi's canon. Verdi lost two children and his lost love seems to come out in his music between father and daughter, especially in La Traviata (daughter-in-law), Stiffelio, Simon Boccanegra and, of course, Rigoletto. In Rigoletto, the father-daughter relationship is central to the plot line. The relationship between father and daughter also appears in Nabucco, Aida, Luisa Miller, Oberto, La Forza del Destino, I Lombardi and I Vespri Sicilliani. Just for fun, we thought that we'd add a "Rigoletto cage match" of some of the great interpreters of the role taking the optional high A from the end of the opera. Verdi actually wrote the final line as Fb-Eb-Db, but the optional Ab has become an audience favorite over the years. Bastianini here sings incredibly here, but i can´t say i like Dmitri less when he sings Rigoletto. But they remind of each other in it:-) as i am listening now to bastianini. Nathan Gunn and "The Missus"